A Forever-Home Rescue Foundation (AFH) is a non-profit organization that works to find loving “Forever Homes” for dogs and pups in need in the Washington Metropolitan area. AFH operates strictly on our adoption fees and the generous donations of the public. All donations go directly to the benefit of the animals in our care – please give generously! We do not guarantee the health of any animals offered for adoption. Any time you adopt an animal, you should take it to a licensed veterinarian as soon as possible. Your animal is, to the best of our knowledge, healthy, but will need to be started immediately on a program of preventative veterinary care. Please be aware that the animals available for adoption are rescue animals and, as such, have often been exposed to a variety of diseases. Like human illnesses, these disorders can have an incubation period of up to several weeks. If the animal you adopt shows signs of illness at any point, please take it promptly to the vet for treatment. The following statement is required by Virginia law: STERILIZATION OF ANY ADOPTED ANIMAL IS REQUIRED BY TITLE 3.2, CHAPTER 65 OF THE CODE OF VIRGINIA. THE ADOPTER AGREES TO ASSUME FULL RESPONSIBILITY FOR COMPLIANCE WITH THE PROVISIONS OF 3.2-6574 through 3.2-6578, WHICH PERTAIN TO THE TIMELY STERILIZATION OF THE ADOPTED PET. A PERSON WHO VIOLATES THIS ARTICLE IS SUBJECT TO CIVIL PENALTY. THE NEW OWNER MAY BE COMPELLED TO COMPLY WITH THE PROVISIONS OF THIS ARTICLE. Review our Adoption Process Overview (this document) for important information regarding adopting from A Forever Home Rescue Foundation. Select your dog or puppy. Our available dogs can be viewed online on our website at www.aforeverhome.org. To meet a particular dog or pup, you can either email info@aforeverhome.org to be put in touch with their foster parents or you can come to one of our Saturday adoption events from 1:00 – 4:00 at the Weber’s Pet Supermarket in Chantilly (14508 Lee Rd, #G, Chantilly, VA 20151, Chantilly, VA 20151). We sometimes have special events or cancel our regular events, so make sure to check our website for an accurate list of adoption dates and events. Submit an Application. Our Adoption Application can be found on our website www.aforeverhome.org or at one of our adoption events. Applications can be submitted at an event, faxed to us at 866‑863‑6890 or submitted via email attachment to info@aforeverhome.org. Applications are not processed until you have met, chosen, and committed to adopting a particular dog or pup and they are processed on a first come basis. For assistance at the adoption events please see the person at our information table. 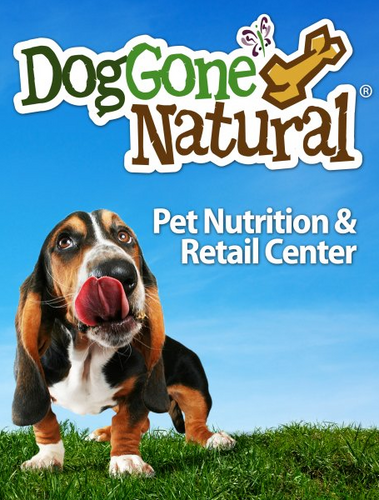 NOTE: Processing normally takes no more than one week from the time your application has been received and you have selected an animal, to the point at which you will sign the contract and receive your pup or dog. When submitting your application, please make sure you can be available to sign the adoption contracts and to accept your new pet on the following Saturday. If you are a previous adopter we still require you to fill out another application. Interview. As a first step in processing your application, you will be interviewed by one of our adoption counselors. This is the time for you to ask any questions that you may have about the organization, our processes or our dogs. The interview will either take place at an adoption event or if you meet the dog or pup in a foster home, we can conduct your interview over the phone. All interviewed applications are then sent to the review committee for approval to move on to the next step in processing. If you are a previous adopter you must also be interviewed. Homecheck. Homechecks are assigned to a volunteer in your area. The volunteer will contact you, normally no later than Tuesday evening to arrange for a mutually agreeable time to do your homecheck. Homechecks must be done no later than Friday of the same week in order for the application to be approved in time for the Saturday contract signing. If you are a previous adopter you will not need another homecheck in order to adopt. NOTE: AFH makes every attempt to schedule home checks in a timely manner. Please understand that we are all volunteers who have families, jobs, pets, etc. that may impact our ability to conduct your homecheck as quickly as you would like! It is our goal to place the newly adopted pets as quickly as possible – we feel this is best for both the pet and the adoptive family (not to mention it frees up space for us to save another dog or pup!) Your patience is appreciated. Vet Check. If you own or have owned a companion animal we will contact your vet for a reference check for any animals that you have been responsible for as an adult. Please make sure to contact your vet to give them authorization for us to speak to them. Contract Signing. Once your interview, homecheck, and vet check have been completed and the review committee has approved your application, you will be contacted either by phone or email to give you final instructions for your contract signing. For your planning purposes, the signing will typically happen at noon on the first Saturday after your application has been submitted for processing. NOTE: Due to limited resources, it is vital for you to be able to attend this contract signing as we cannot arrange for an earlier or later date or time. Unless other arrangements have been made, your adopted pet will be made available for your pick up at approximately 1:00 directly following the contract signing. AFH cannot accept personal checks or credit cards. The adoption fee/processing fee must be paid in full by certified funds or cash at the time of the contract signing. While totally optional, AFH welcomes tax-deductible donations that can be made in addition to the adoption fee. We thank you in advance for your support. Take your new pup or dog home. Congratulations, you have successfully completed the adoption process and have your new pet. 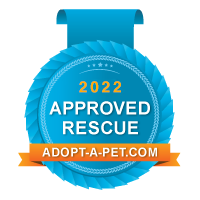 In order to ensure your pet’s safety, please take a moment to attach the AFH tag that was included in your adoption packet, as well as your own I.D. tag, to a collar and put it on your dog. You should be certain that the collar is fitted correctly so it doesn’t slip off of the dog’s neck. Ask an AFH volunteer if you need help. Statistics show that the highest risk time for a dog to get lost is within the first 24 hours of arriving at a new home. Don’t let your dog be a statistic.